Make your tummy warm with Kyoto’s famous yudofu and yuba! 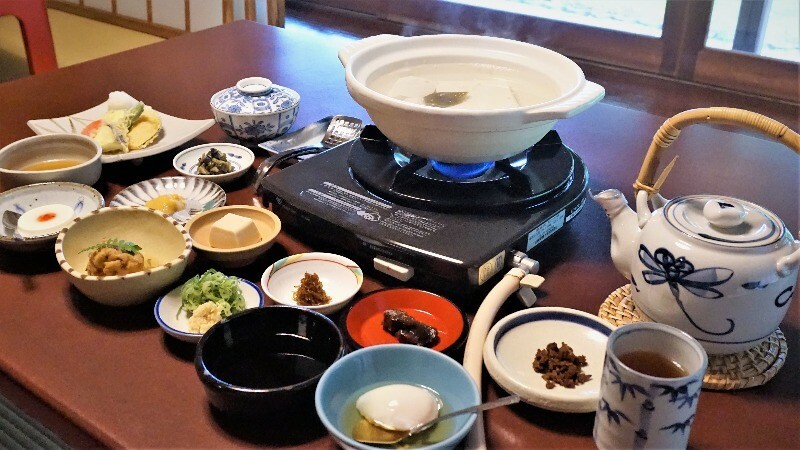 When talking of the cuisine of Kyoto, you can’t leave out tsukemono, matcha, and yudofu! Yudofu has a nice, soybean-like taste of tofu to it (it is tofu, after all), and it’s healthy but warm. It’s made using the great water of Kyoto, as is the yuba served here, although they’re made using different methods, meaning that their tastes are also delightfully different. You may think that tofu doesn’t have enough taste, but after you have some yudofu and yuba in Kyoto, you’re sure to think differently. So, we’re going to take a look at some tofu restaurants offering hot yudofu and yuba, so stay tuned! 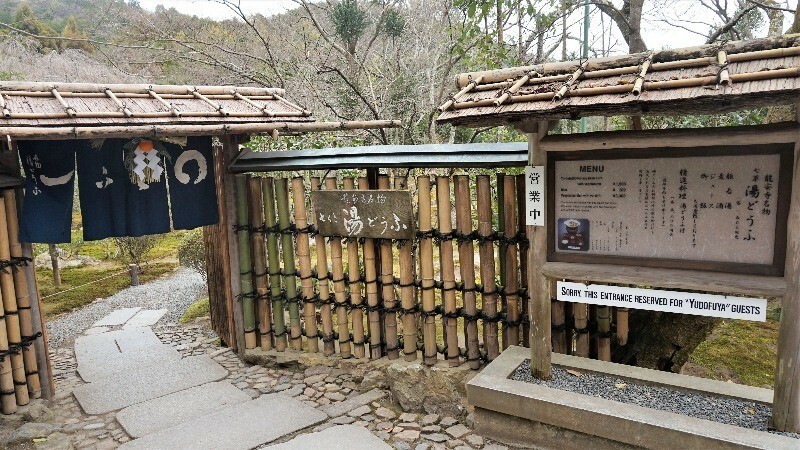 Yudofu Sagano is located in Arashiyama, away from the busy center, surrounded by greenery, and from its seats you can wonder at its beautiful Japanese garden. 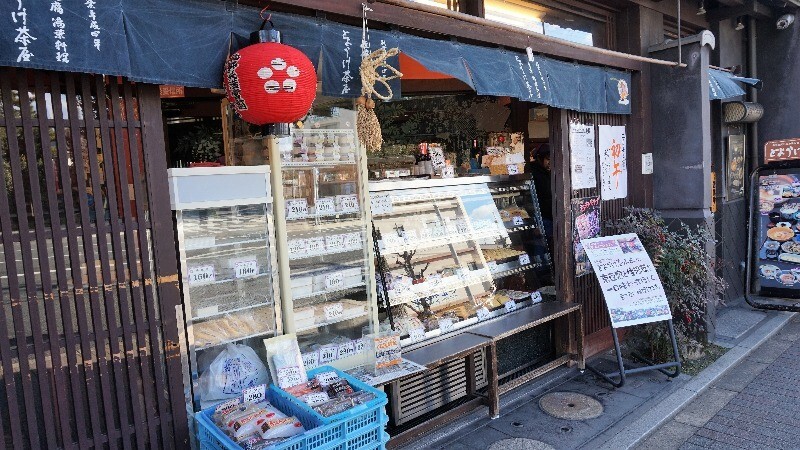 The meal centers on yudofu, but you also get sesame tofu, fu, and many other small Japanese dishes. 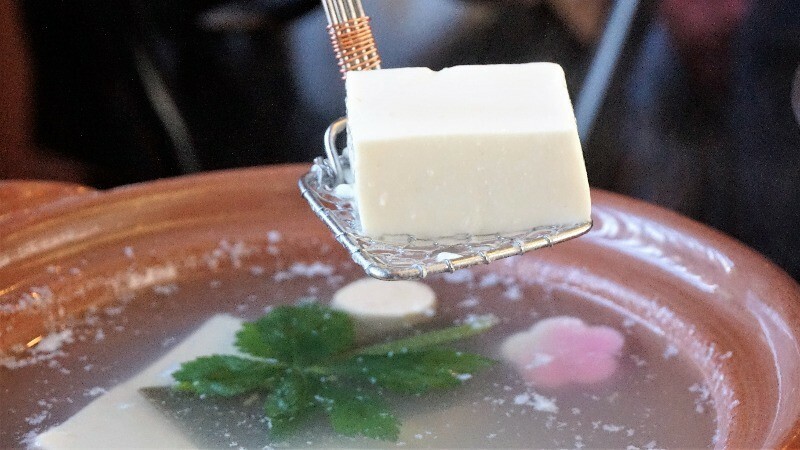 Tofu may look simple, but the taste of yudofu is full of flavor and the texture is wonderful. Having a bottle of sake with the tofu will make it taste even better. 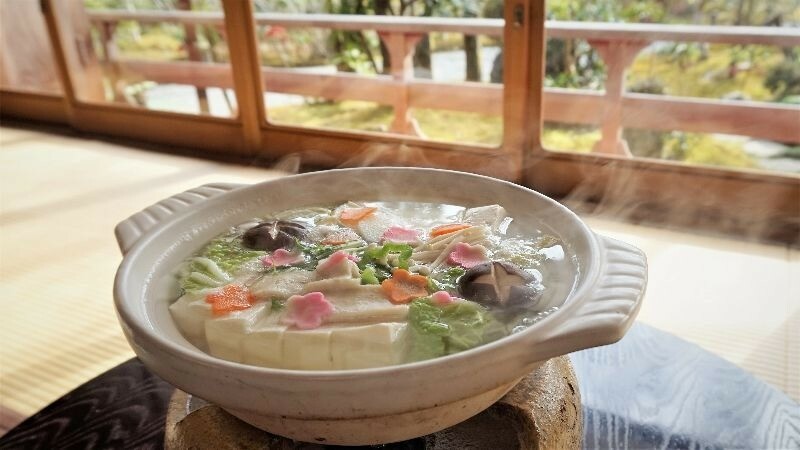 Close to Kitano Tenmangu Shrine, you can find Toyouke Chaya, which is actually a tofu shop, so in their restaurant, they can serve the freshest tofu possible, and let you taste tofu at its absolute best. 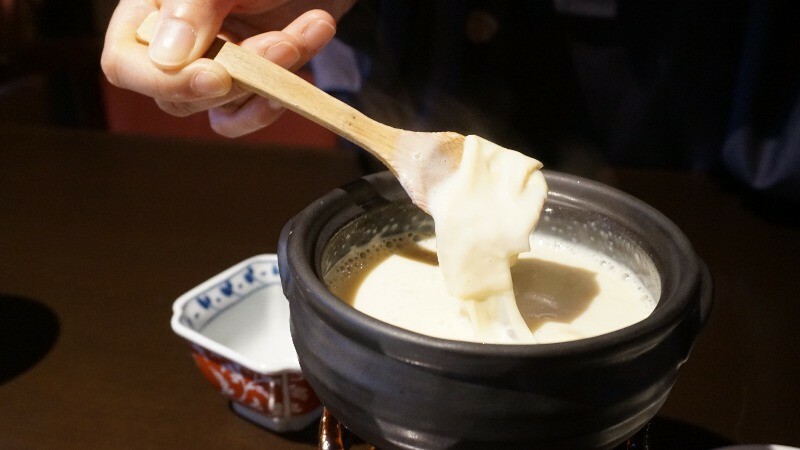 The soup contains dashi stock, and when you add a bit of soy sauce to it, it turns into something so tasty that your palate is going to sing when you sip on it. 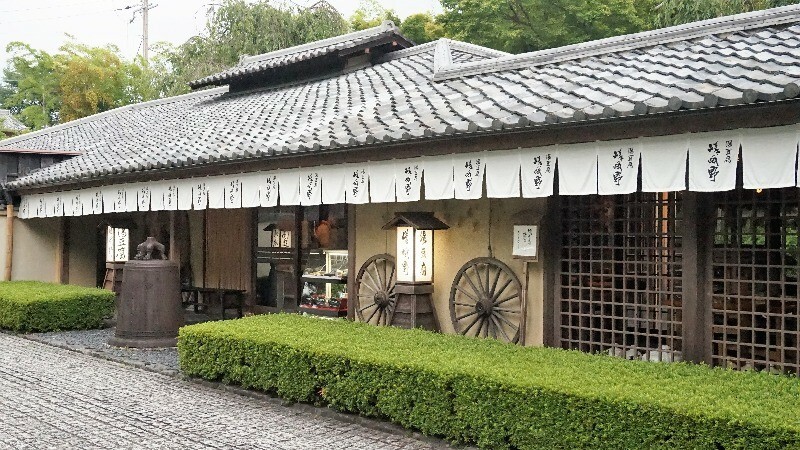 Seigenin is located on the grounds of Ryoan-ji Temple, and it offers shojin cuisine (Buddhist vegetarian cuisine). The main ingredient is tofu, and you also have a generous amount of vegetables in the pot, so the dish looks really appetizing. In the picture, you can see a portion for two people, and although the dish may look simple, once you dip some tofu into soy sauce, I’m sure that you’ll begin appreciating the great taste. You also get to view the beautiful garden while you eat – could there be anything better? 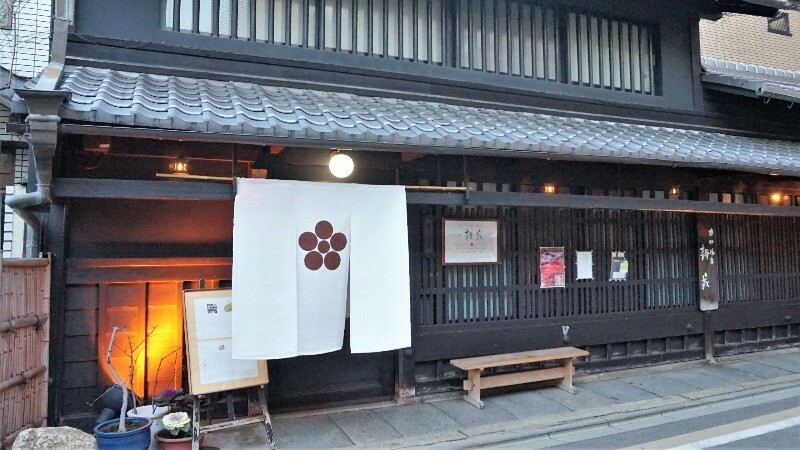 You can find this restaurant, Kyo-Yuba Seike Nishijin, in the area of Kyoto known as Nishijin, but you probably already got that much from its name. They have many kinds of yuba dishes, like fresh yuba with a wasabi soy sauce dip, teppanyaki-yuba; all kinds of yuba dishes. Besides yuba, you also get a hassun platter full of seasonal appetizers. Close to Nene’s Path and Kodai-ji Temple, there is a yuba restaurant called Hashiba, offering many types of yuba dishes, and makes its yuba every day in its own factory. 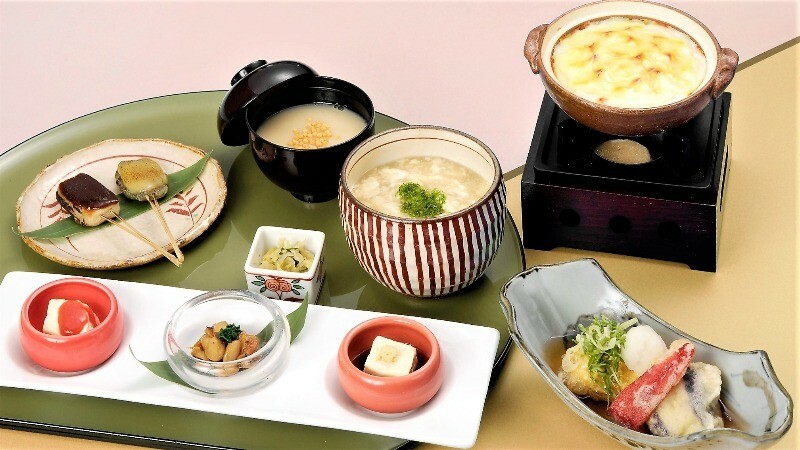 Their specialty is in the picture, and it’s called yubazen, and in yubazen you get three different yuba appetizers and get to taste the differences in the taste. They also have a rice dish called “Toro toro yuba gohan” which is topped with delicious yuba! I’m sure that you’re all now clamoring for some delicious tofu and yuba in Kyoto! 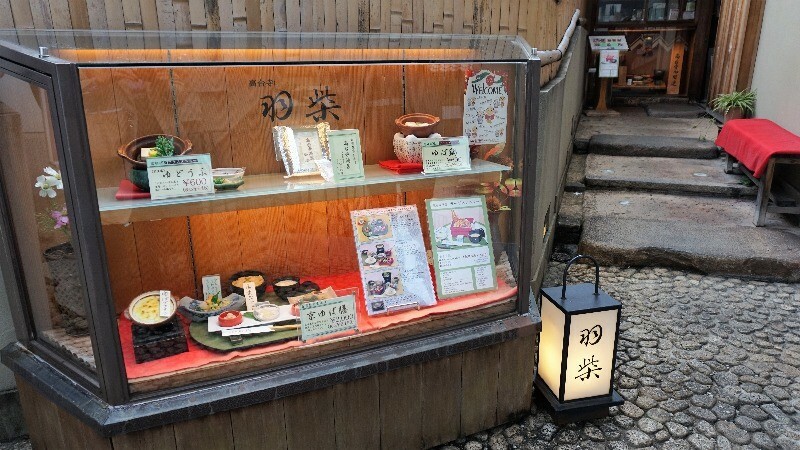 These dishes are made using the famous water of Kyoto, so they do taste tasty! And in wintertime, some hot yudofu or yuba is just what the doctor ordered!